GREASE is still the word, as Australian theatre producer John Frost yesterday revealed the cast and tour dates for his new multi-million dollar production of GREASE, which will open as an Australian premiere at the Queensland Performing Arts Centre (QPAC) on 27 August 2013. In the lead roles of Danny and Sandy are musical theatre favourite Rob Mills and rising star Gretel Scarlett. Rob Mills made a name for himself in musical theatre performing Fiyero in the Broadway blockbuster Wicked in Melbourne and Sydney for two years, and will join GREASE after starring as Warner Huntington III in the hit musical Legally Blonde in Brisbane and Melbourne. 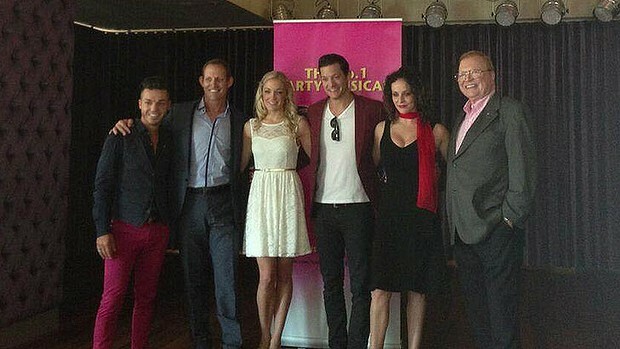 Gretel Scarlett, who is a Queenslander, has played support roles in Wicked and Mamma Mia! and is excited to take on her first starring role. “GREASE is one of my favourite musicals, and with this top draw cast of musical theatre stars I have no doubt it will again be everyone’s favourite party musical,” John Frost said. 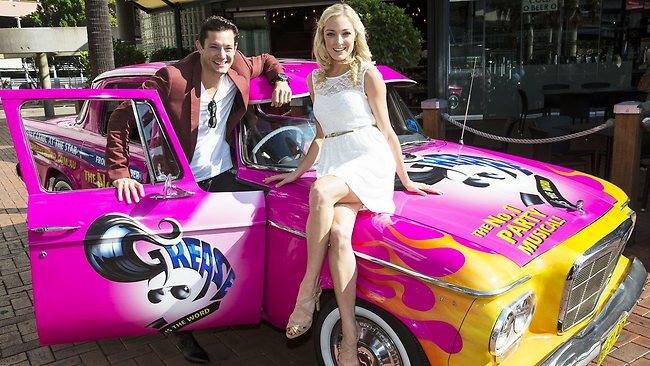 GREASE will open at QPAC’s Lyric Theatre Brisbane on August 27, with seasons to follow at the Sydney Lyric Theatre from October 13, and at her Majesty’s Theatre, Melbourne from January 2, 2014. GREASE is the Number One Party musical, featuring all the unforgettable songs from the hit movie including You’re The One That I Want, Grease Is The Word, Summer Nights, Hopelessly Devoted To You, Sandy, Greased Lightnin’ and many more. So get ready to dust off your leather jackets, pull on your bobby-socks and take a trip to a simpler time as ‘bad boy’ Danny and ‘the girl next door’ Sandy fall in love all over again.